The water supply in Tampa is notoriously hard, with a high mineral content that can do significant damage to your home’s plumbing and appliances. If you’re moving to Tampa, then you may discover that your new home has hard water deposits that need to be removed to prolong the life of your appliances and fixtures. With that in mind, here are some suggestions to help you eliminate hard water deposits from your washing machine, showerhead, faucets and fixtures, and even from the jets in your jacuzzi. After you remove clothing from the washing machine, pour a thin layer of vinegar over the bottom and let it sit for an hour or so. Run the rinse cycle on your washing machine. Use a clean, dry towel to wipe the interior of the machine dry. The vinegar loosens up the mineral deposits and the rinse cycle rinses them away. The next thing you may want to look at it is your shower head. If the water in your home is very hard, then the shower head may be heavily encrusted with mineral deposits. To remove them, simply pour white vinegar into a bin. Put the shower head into the vinegar and let it soak. The vinegar should soften the mineral deposits, making it easy for you to wipe them clean. Once the shower head is clean, rinse it with clean water, wipe it try, and reinstall it in your shower. As you might expect, white vinegar is the solution here too. For very heavy build-up in your bathroom, you do have the choice of using a cleaning product that contains hydrochloric acid. However, since hydrochloric acid is a very harsh chemical and dangerous to inhale, you should only do so if you have proper ventilation. Soak one or more of the wash cloths in white vinegar. Wrap the soaked cloth(s) around the affected areas of your faucets and fixtures. Let them sit for at least an hour, adding more vinegar as needed to keep the cloths wet. Remove the towels and clean the area with a clean rag or sponge. This method works like a charm and you won’t have to fuss with removing fixtures to do it. You can use them same method for your toilet. Simply turn off the water, flush repeatedly until the bowl is empty of water, and line it with vinegar-soaked cloths. Let them sit, adding vinegar as needed. Then remove them, scrub the toilet with a brush, and turn the water back on to rinse. If your bathtub has jacuzzi jets, then it’s very likely that they have been affected by the hard water in your home. The key here is to create a solution that will run through the jets and eliminate the hard water deposits there. Here’s what to do. Fill the tub with warm water to about one inch above the jets. Add one cup of bleach (or vinegar if you prefer not to use bleach) and ½ cup of powdered dishwashing detergent to the water. Run the jets for about 15 minutes, and then leave the water to soak for an hour. Drain the tub and refill with cold water. Run the jets for another ten minutes to rinse them. Drain the tub a second time. When you drain the tub, you should see a noticeable difference in the jets. The bleach and detergent solution dissolves the deposits and makes jacuzzi jets look as good as new. The most effective way to prevent the formation of mineral deposits in the future is to install a home water filtration system like our Guardian Water Services water refiner. 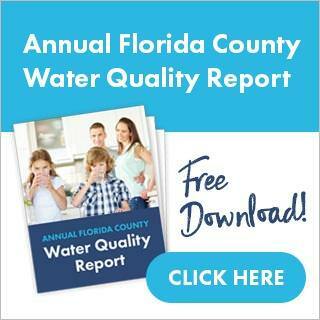 To schedule a free water quality test and learn more about our system, please click here.